At a hearing of the Senate Committee on Homeland Security & Governmental Affairs, which was titled “Securing the Border: Assessing the Impact of Transnational Crime,” lawmakers from both sides of the aisle were largely in agreement as to what the biggest security problem is along the northern and southern borders of the United States: the transnational criminal organizations which smuggle people. And both Republicans and Democrats agreed that the vast majority of unauthorized immigrants entering the United States from Mexico are not security threats. Rather, their movement across the border is symptomatic of the power wielded by the smuggling organizations upon which they rely—and which frequently exploit them. If the United States wants effective border security, then more effective law-enforcement measures must be taken. The first step is to identify the right target: the increasingly sophisticated smuggling organizations known as the “cartels.” By attacking the money laundering which is the life blood of the cartels, and making the bi-national criminal investigation and prosecution of cartel bosses a priority, the border can be made significantly more secure. In the process, the violence in Mexico and the smuggling of drugs and people into the United States will be reduced. Adopt a Coordinated, Multi-dimensional, Bi-national Approach: We must stop compartmentalizing border objectives by type of illegal activity. Current efforts are incorrectly focused on stopping particular kinds of contraband. But a successful effort cannot be about unauthorized immigrants alone (Immigration and Customs Enforcement), or drugs alone (Drug Enforcement Agency), or guns alone (Alcohol, Tobacco, and Firearms). It must address, disrupt, and destroy the total business of the cartels. Target Cartel Money: Billions of dollars in illegal revenue from the sale of drugs and other contraband flows into cartel pocketbooks each year. This revenue crosses the border, from the United States into Mexico, by many means, ranging from bulk cash shipments and wire transfers to funnel bank accounts and stored value devices. Any serious border defense must go after the cartel’s money. Close Money-Laundering Loopholes: The cross-border movement of “stored value” devices is a particularly critical problem. These plain plastic cards can contain thousands if not millions of dollars and are not covered by any currency disclosure requirements at the border. The Treasury Department must get more serious about cutting off this international flow of funds. Go After Cartel Bosses: With notable exceptions, current law-enforcement efforts primarily target low-level subcontractors for the cartels. This country must focus on the arrest and incarceration of cartel leaders. Ultimately, going after the cartel bosses will require federal leadership and close cooperation with the law enforcement of Mexico. The lack of bi-national coordination, in effect, provides cartel leaders a sanctuary south of the border. 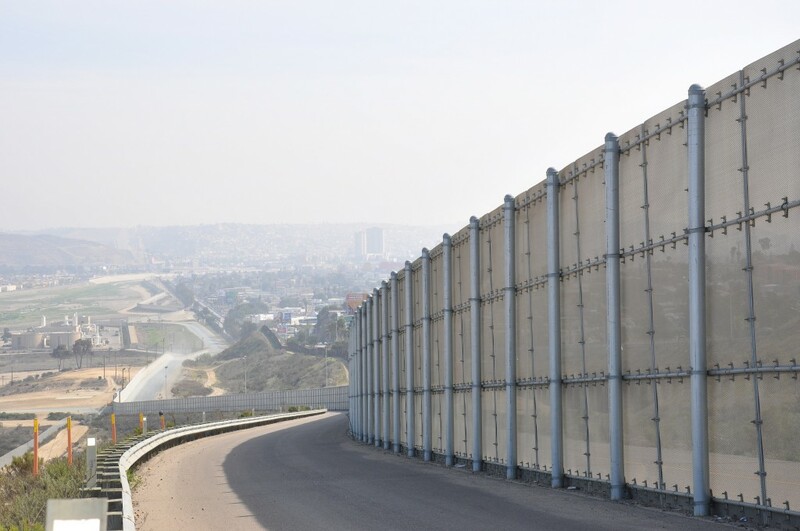 Protect Ports of Entry: One of the consequences of the fixation on border security is the buildup of the Border Patrol at the expense of customs enforcement. With the de-emphasis on customs inspections, more contraband gets through the ports. In fact, most of the criminal activity has shifted to the border crossings, not the places in between. We need more resources for inspections at ports of entry. Not to be forgotten in all of this is the added security which would come with immigration reform. As emphasized by one of the witnesses at the hearing—General Barry R. McCaffrey (Ret. ), former Director of the Office of National Drug Control Policy—border security cannot be achieved only by further beefing up the Border Patrol. It also requires a “sensible immigration policy” which recognizes that mass deportation is not a realistic nor a desirable option for “solving” the problem of unauthorized immigration. Rather, labor migration and family reunification should be taken out of the border-security equation through the creation of a legalization program for unauthorized immigrants already living in the United States, and flexible legal limits on future immigration to this country. Otherwise, the criminal syndicates will have more people to exploit for profit, and criminals and terrorists looking to cross the border will have more people among whom to hide. Photo Courtesy of BBC World Service.